In the cryptocurrencies’ newly developed market –most famous of them, the bitcoin– the most popular trend is the “initial offering”, where companies are distributing/promoting coupons as a crowdfunding means. A startup called Brave, the upstart web browser founded by Mozilla’s co-founder Brendan Eich, completed in mid-2017 an initial coin offering (ICO) today that is likely to be distinguished for its speed and earnings. It raised $35 million in 30 seconds!!! No banking channel, no transferring accounts, no credit control-check officers. Nothing! A really new world. Polish banks in 2015(!!) decided to cooperate in a single technology platform permitting their customers to transact while leaving their wallet at home. Great! Safer, wider, and all banks working for a common cause. No silos! Which was the “tech platform”? A Polish startup called Blik that challenges the status quo. It permits to clients of nine banks to raise money from ATM’s, but transfer funds through their phones, to pay off-and-online retailers and service providers without giving-in/sharing data of their savings accounts or their credit cards. Privacy at its best, don’t you think? It took only two years to Blink, so they now have almost 4 million users and almost 2 million transferred money sums every month! The speed of Change will never be slower as it is today. Polish banks lower their cost base; introduce a trusted partner to facilitate customer experience; consumers feel (and are) safe; the retail market is transacting in speed and in innovative ways. The China Construction Bank (CCB), China’s second-largest bank, has opened a branch in Shanghai run entirely by technology. 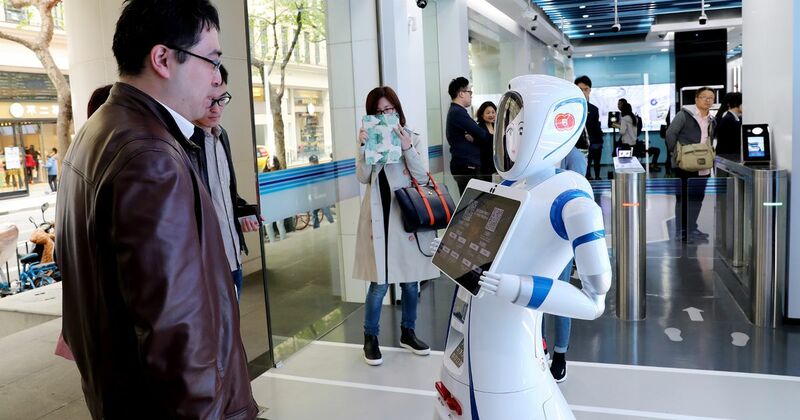 Α humanoid robot answers customers’ questions and directs traffic, and human client relationship managers remotely interact with customers via video conference. By leveraging virtual reality, A.I and facial recognition technology, CCB says its branch will be able to support 90% of the demands a traditional bank branch would see. The store is equipped with several automated tellers capable of a range of services, including account opening, money transfer, foreign exchange, gold investment and the issue of wealth management products. Why it’s important: This unmanned branch will provide a wealth of data on customers’ willingness to interact with technology for basic bank needs versus humans — and the productivity and growth gains from digitizing interactions with human bankers. We need banking but we don’t need banks anymore. Do you think someday we can open bank account or ask for loan without physically have to come to the bank? Apple Pay is a payment system designed to change the way we shop. Apple has been leading the way in the effort to move consumers in direct contact and transaction with the ‘producers’ (content, service, retail, FMCG). Apple Pay Cash was introduced back at WWDC 2017 as an alternative to PayPal and Venmo. In theory, it lets you send money over iMessage to someone and the other side will receive them in their Apple Pay account. In reality, it can be used for paying rent, bills, tickets, food to someone close that otherwise would get the money in cash. 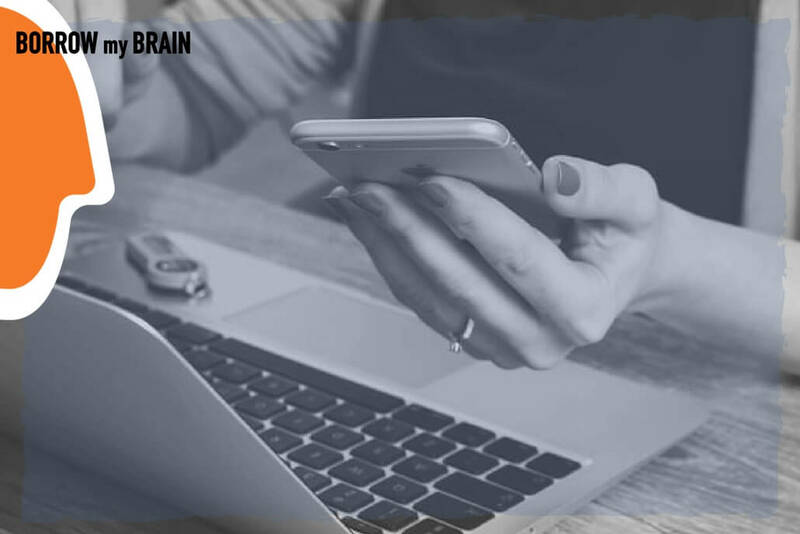 Apple solutions and many-many mobile money alternatives are now in the process to scale-up and form their networks of influence and transactions. They will succeed, as long as the mobile penetration continues to grow. I don’t know if it is #fintech #app #solutions-based platforms, but the new (money) model is clear: any platform owner or big-online ‘system’ has the opportunity to develop easiness, access, and convenience between consumers and producers, extracting a small (but sustainable) revenue from suppliers. This business model is attractive to any new entrants. It allows for innovations. A good example is the Belgium-based fintech banqUP. It offers a current business account, credit and debit cards, and business apps in a unified small- business banking platform. Another example is the UK’s bank challenger Starling, the “The UK mobile-only bank account”. How can a (traditional) bank continue to be a ‘dinosaur’? Imagine this: any banking open platform or electronic channel facilitator is like a department store that carries all your favourite brands and also helps you coordinate outfits and does your interior decorating. Open platforms (examples here) create a market where producers (supply side) and consumers (demand side) connect and interact directly in very efficient exchanges of value. So what is the role of the (traditional) Bank? Limited as we go on. “attacked” and dispositioned by the new Brands: Apple wallet, Apple Pay, Google pay, Samsung Pay …Amazon (why not?) and many other disrupting local solutions and ecosystems. Brian Solis has alerted us 5 years ago! No3. Find global banking solutions for the almost 250 million SMEs that neither cash systems nor the traditional banking model effectively serves themir needs. No4. Push for more collaborative models of the direct relationship between online economy players (ie. marketplaces etc) and consumers, lowering the time to go to the market (ie. introduce new products etc.). No5. Improve CX 360o with smooth, on-the-go processes and infrastructure and introduce new services in retail and online. No6. Become immersive experiences; Brands are no longer static logos or advertising campaigns that traditional banks were used to, as a showcase of power. Do personalized marketing in all possible services and transactions, no matter if you are the Bank X or Amazon, or Samsung. Avoid all outdated customer service. The audience has spoken. No waiting queues. No bureaucracy. No small print letters and ‘hidden’ policies.